The Palm Springs Air Museum was host to the black-tie “Casablanca to D-Day Rendezvous With History” event, where both vets and active service members were honored while the Palm Springs High School Spirit of The Sands Band played all the patriotic hits, cocktails and appetizers were enjoyed, and photos with honorees were taken. 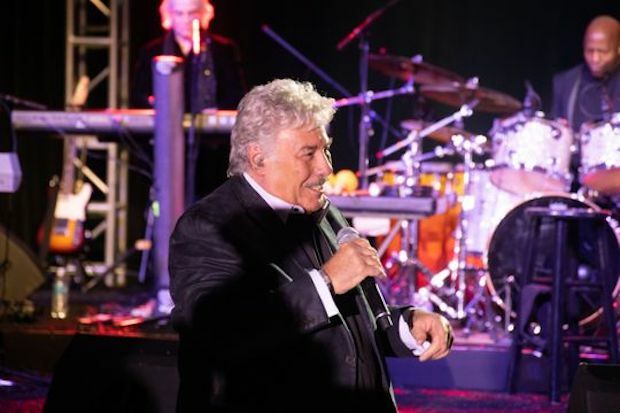 The legendary Tony Orlando was the evening’s entertainment. Before the even began, diamond-level sponsor Harold Matzner pledged a gift of $100,000 to the Jim Houston Pavilion.